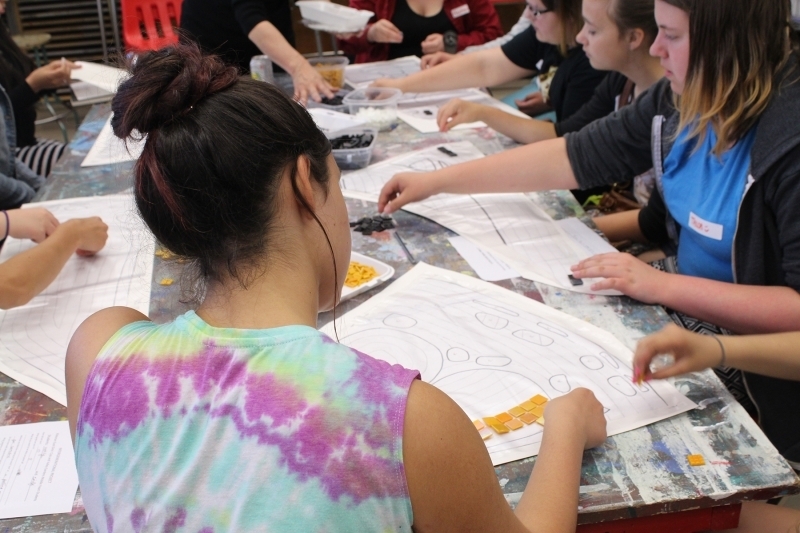 Throughout the 2014-2015 school year artist Denise Préfontaine and the Kildonan-East Collegiate Girls’ Club brought together girls and women of all ages in a common effort to enhance their community. 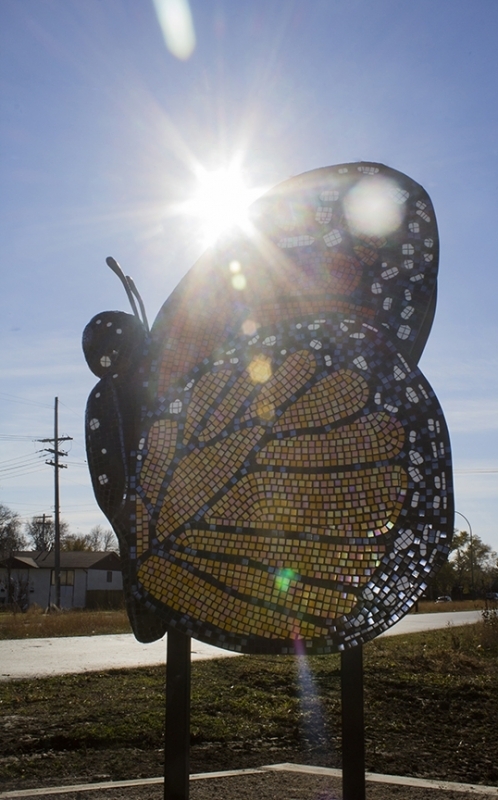 The Girls’ Club chose an intergenerational focus for the project, inviting younger girls from Hampstead Elementary School and Valley Garden Middle School, as well as senior women from Bethania Mennonite Personal Care Home to join them in creating mosaic art elements for a public art installation along the trail near their school. 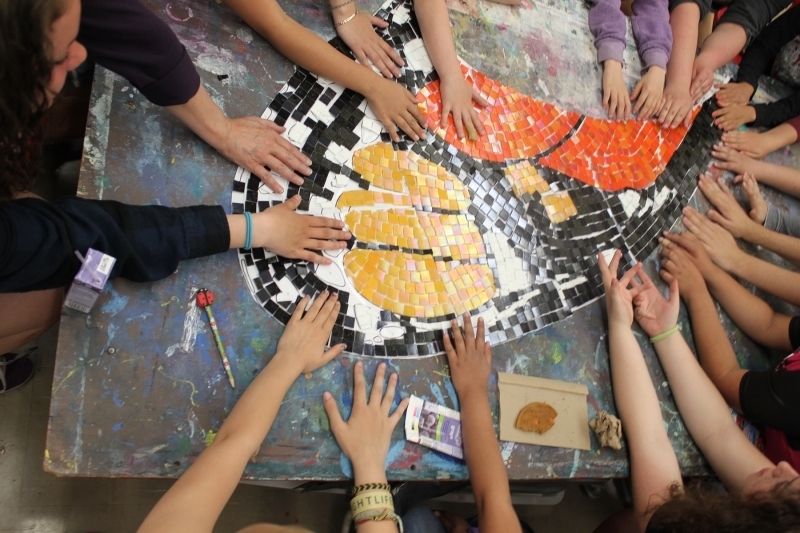 While working together to place tiles, the participants shared experiences and connected about issues facing girls and women. 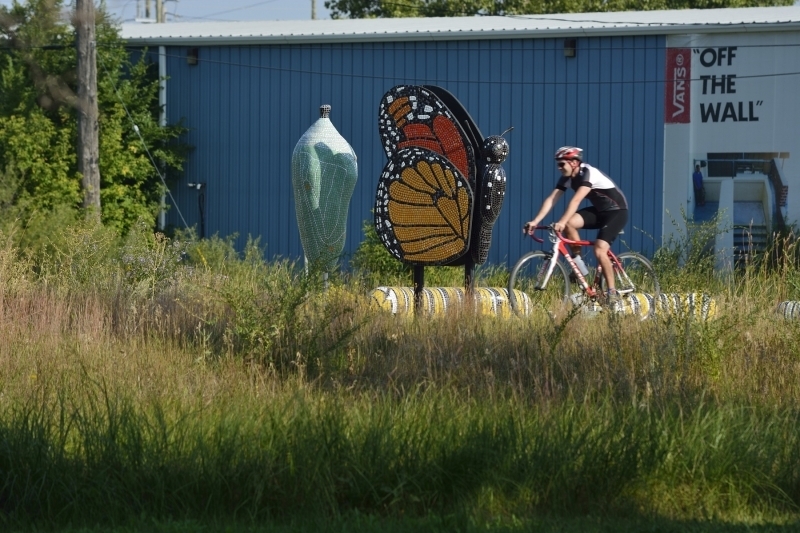 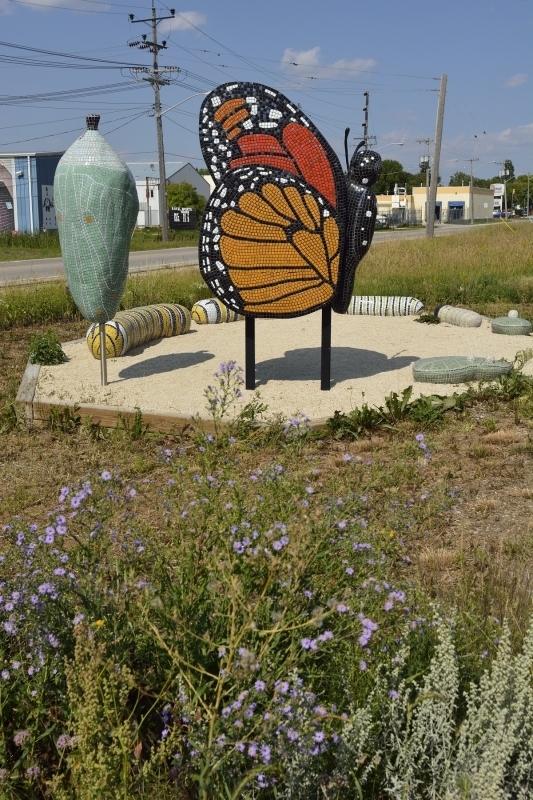 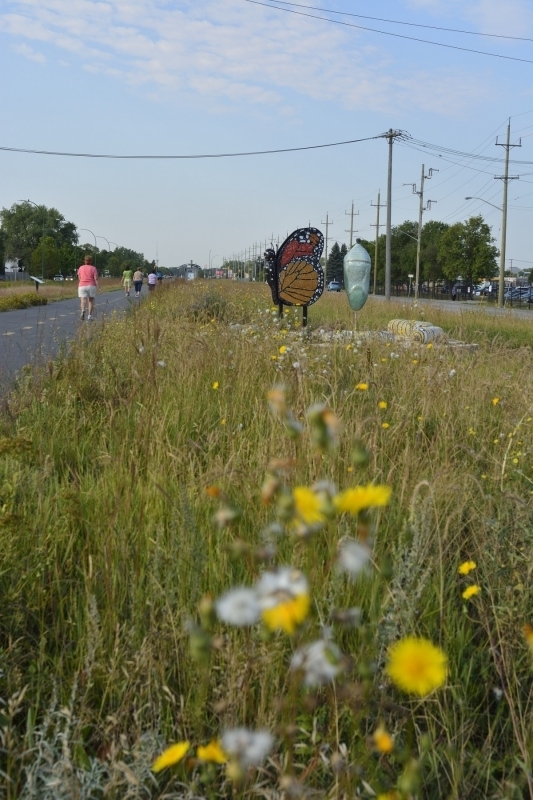 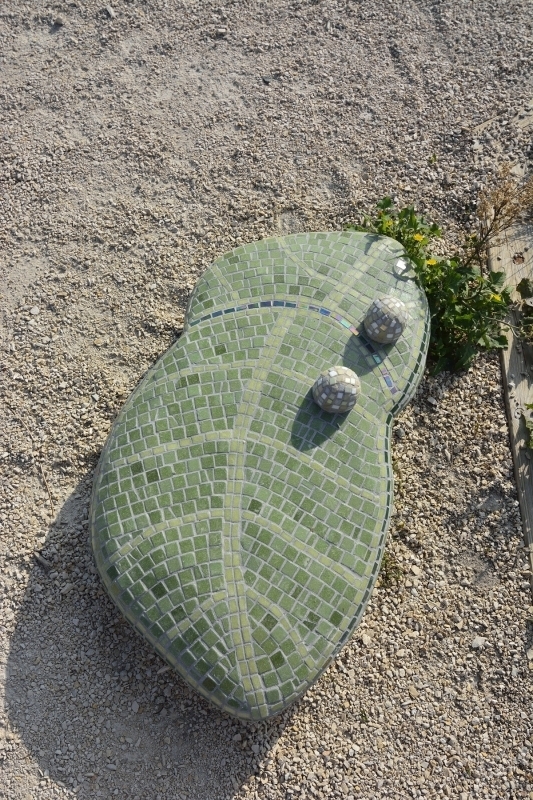 The resulting artwork, Life Journey is located along the Northeast Pioneers Greenway near Concordia Avenue. 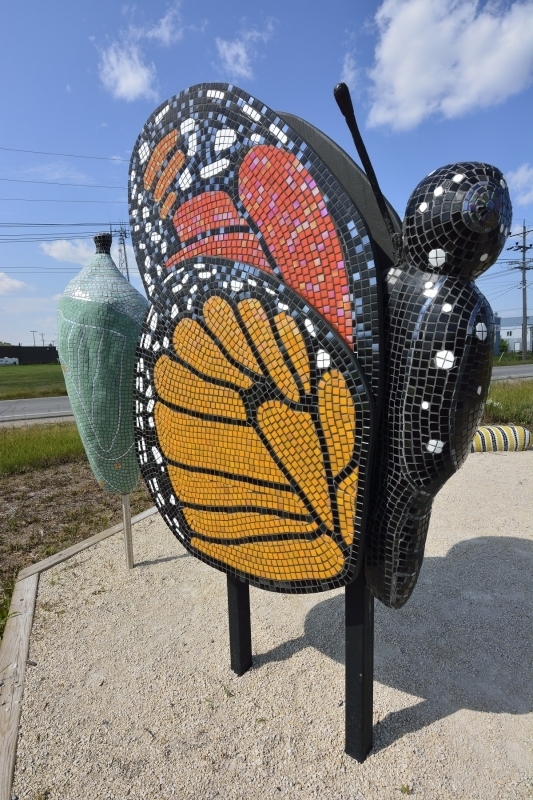 It features a series of sculptures that playfully depict the stages of growth and transformation a butterfly experiences during its dramatic life cycle. 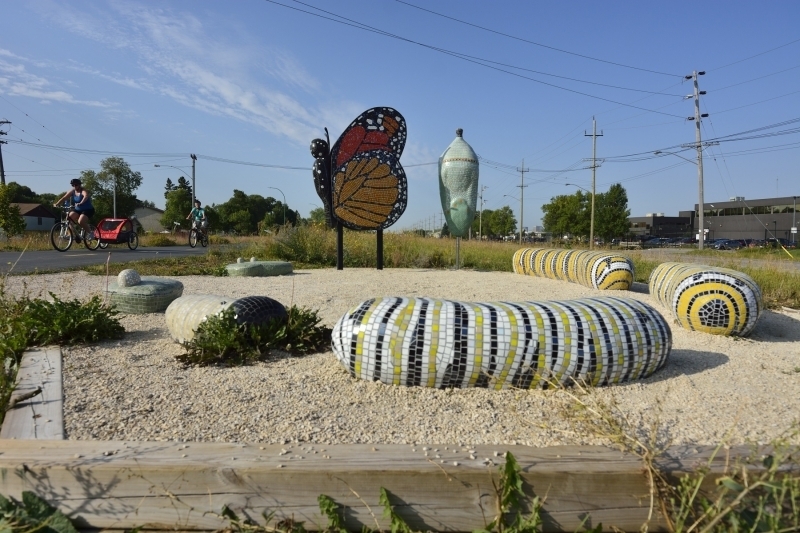 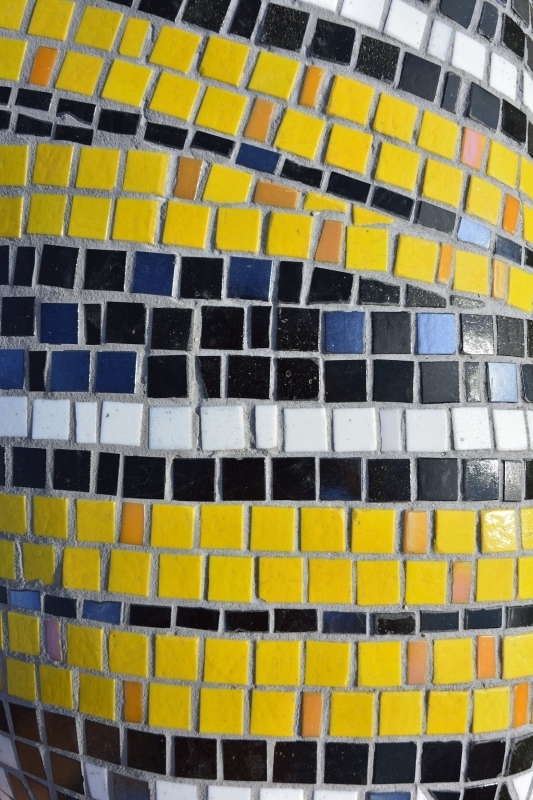 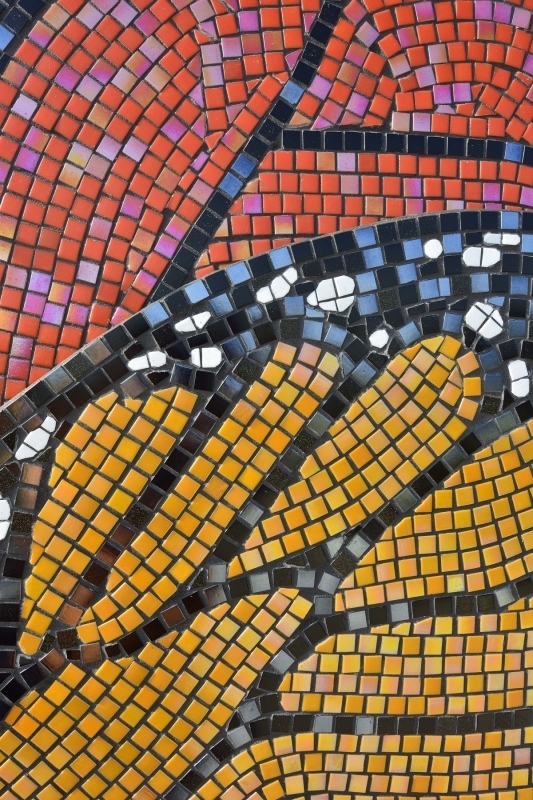 The sculptures are clad in colourful mosaic tile and placed in an oval with caterpillar forms that double as seating to provide an opportunity for continued dialogue. 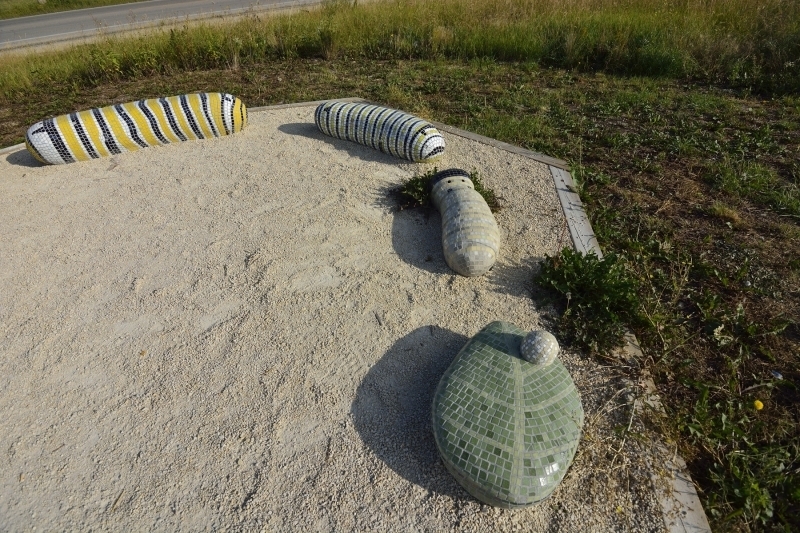 It is hoped that this meeting place will also be used as an outdoor classroom for a range of subjects related to the natural environment. 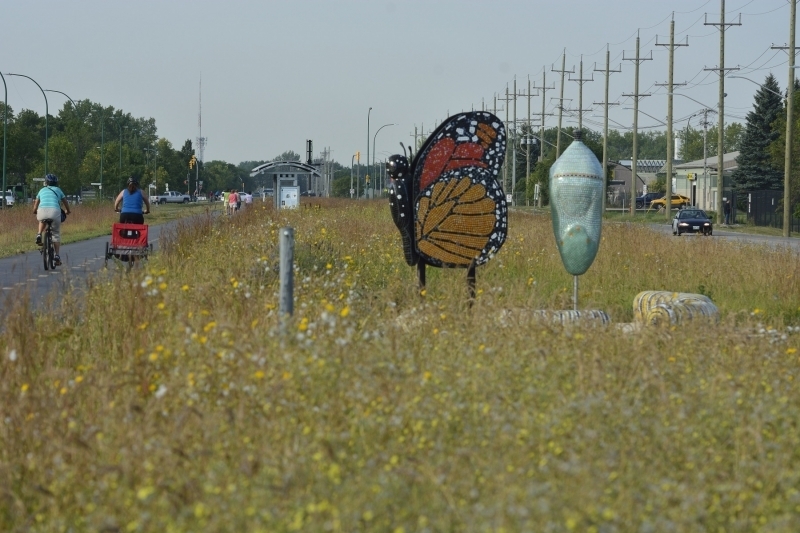 New plantings intended to support Winnipeg’s butterfly population will be added in 2016. 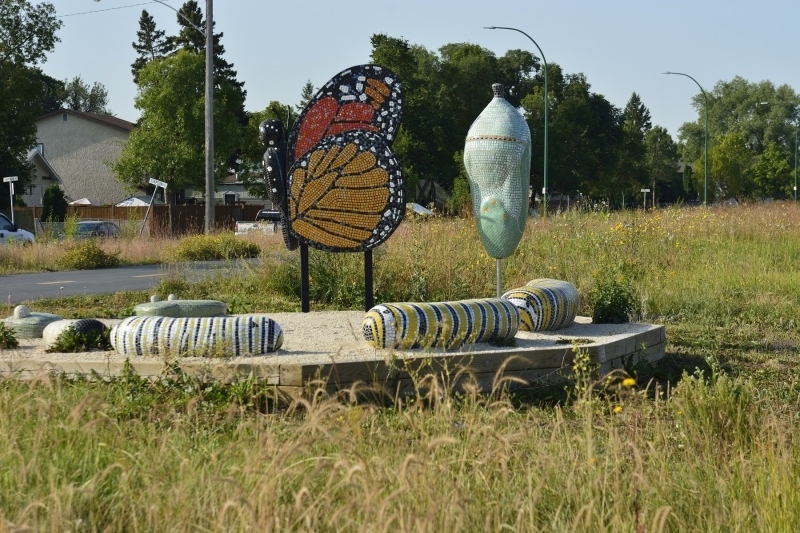 This ambitious project was created by many hands through the Winnipeg Arts Council’s Youth WITH ART community program, with additional support from the River East Neighbourhood Network – Trail Committee, the City of Winnipeg and the Parks and Open Spaces Division of the Public Works Department and Naturalists’ Services Branch. 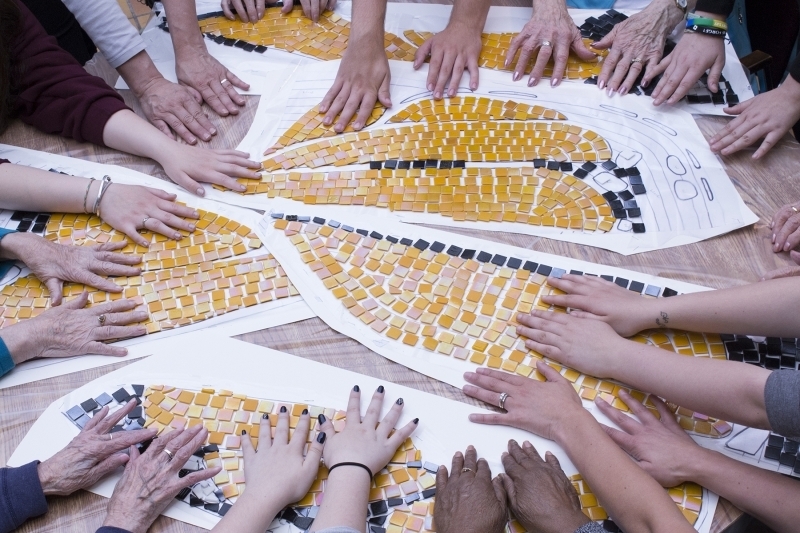 Youth WITH ART matches professional artists with youth-based community groups to work on identity, issues, and shared goals through the development of an art project. 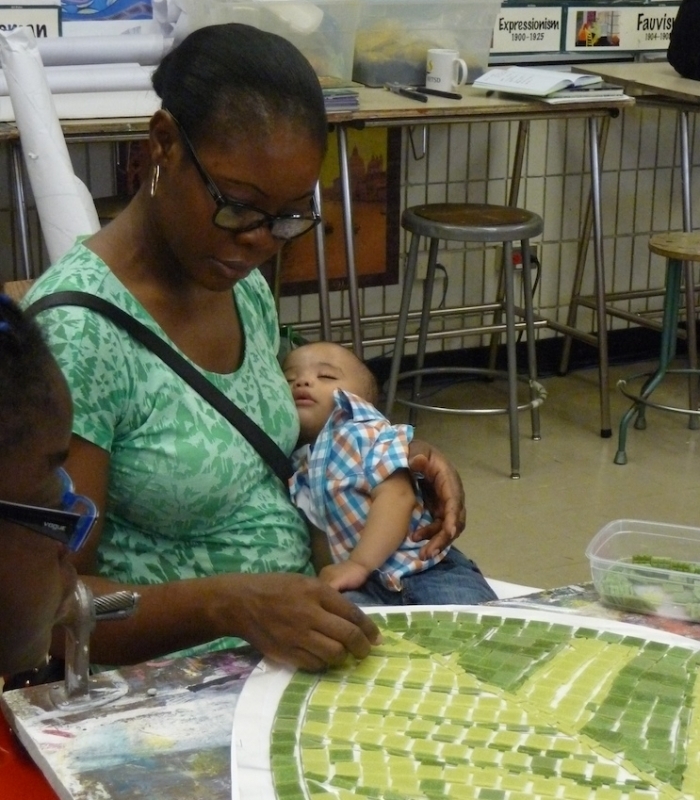 By engaging in the artistic process and interacting with professional artists, youth are given a chance to express themselves and often gain a deeper understanding of their own communities. 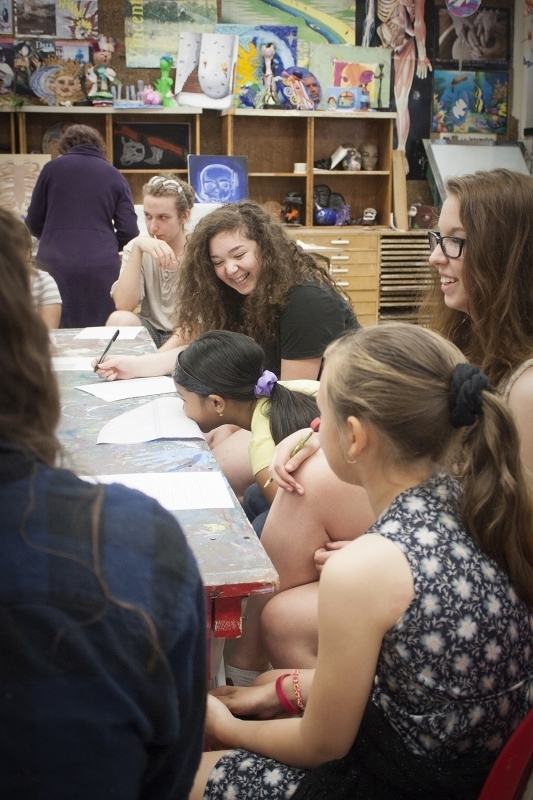 The Girls’ Club, led by teachers Angel Audrey and Deanna Michaleski-Tellier, provides a safe environment for students to build confidence and develop their self-esteem while striving toward being positive role models. 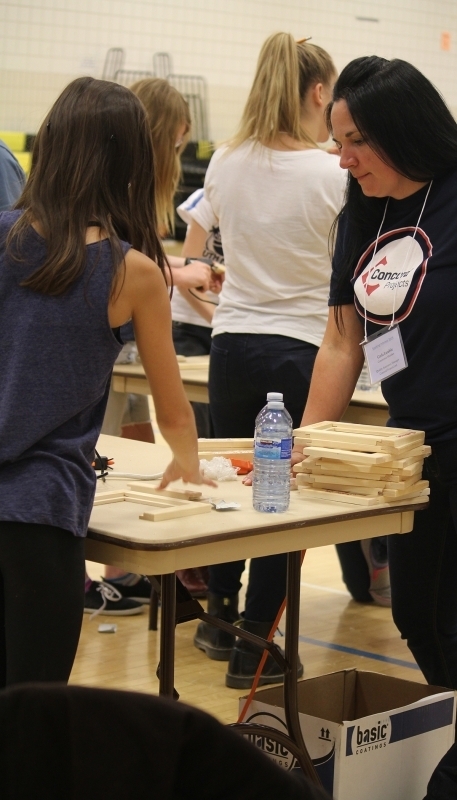 While discussing local and global girls’ issues, they also work together to support women’s shelters, International Day of the Girl, and the "I am a Girl" campaign. 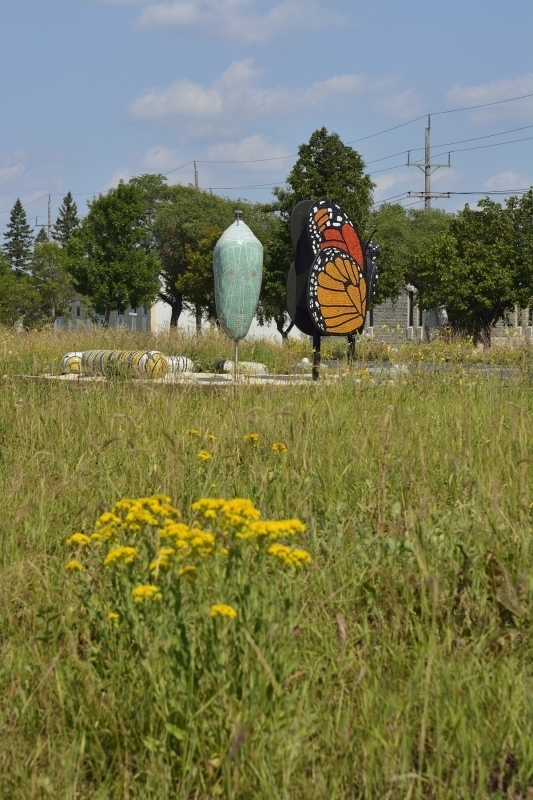 “It was such a privilege to be part of this extraordinary project that brought our community together. 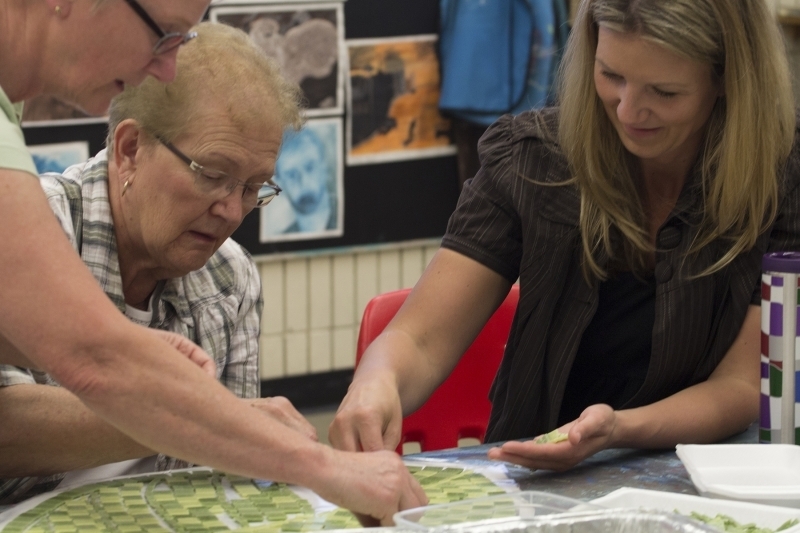 The highlight was working with the seniors, our conversations, and tiling together was inspiring. 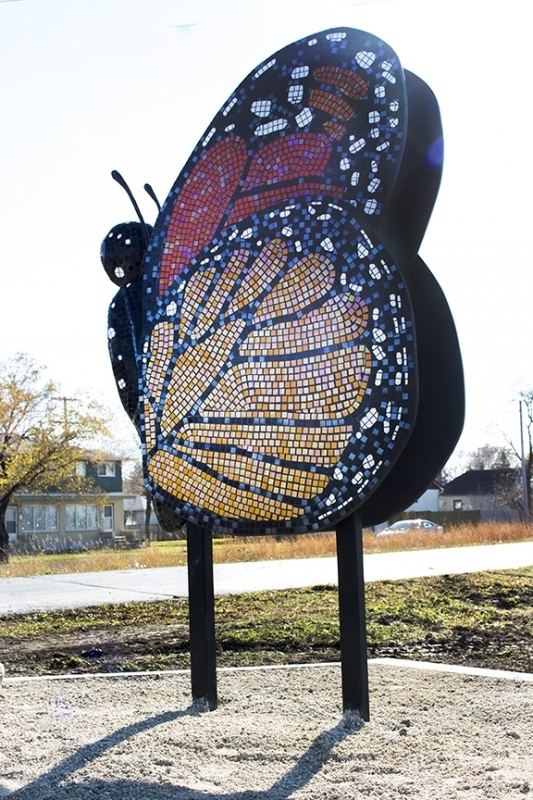 Seeing it all come together and knowing how many people worked on it has been fantastic!” Tania Wiebe, Girls’ Club member. 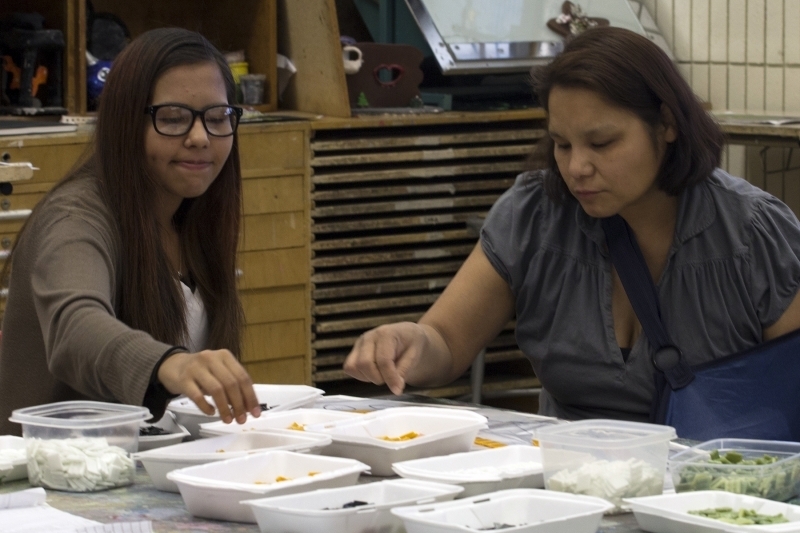 ​“It’s been great to have so much of the community involved in this project: we’ve had girls and women from ages 3 to 105 all working together!” Denise Préfontaine, artist. 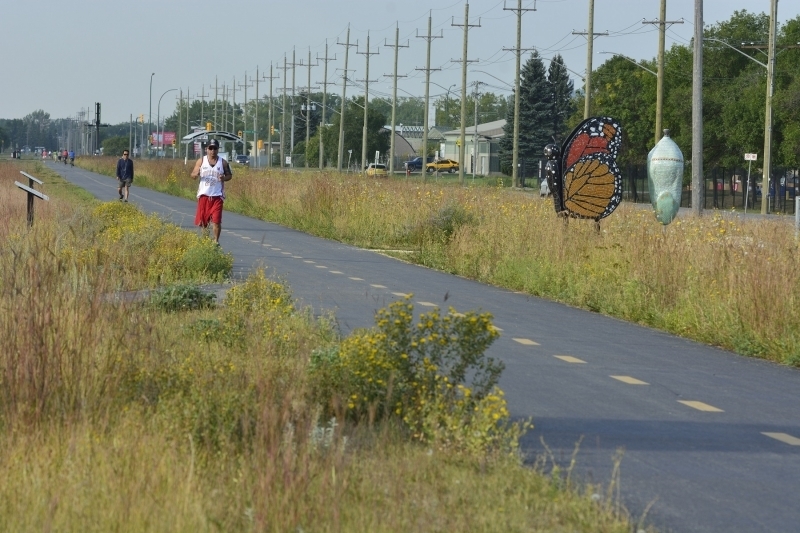 The community continued to show its support by celebrating the official opening on a cold, wet and windy day in late October 2015. 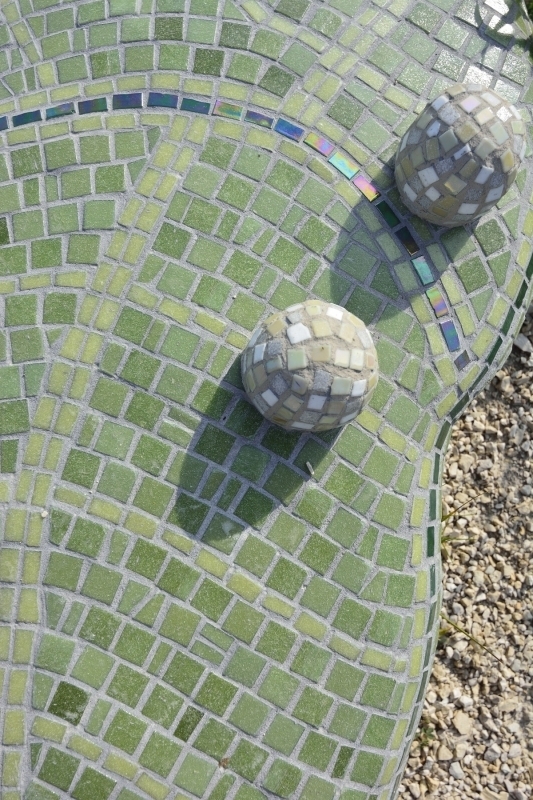 Denise Préfontaine specializes in creating site-specific artworks that play with colour, light and materials. 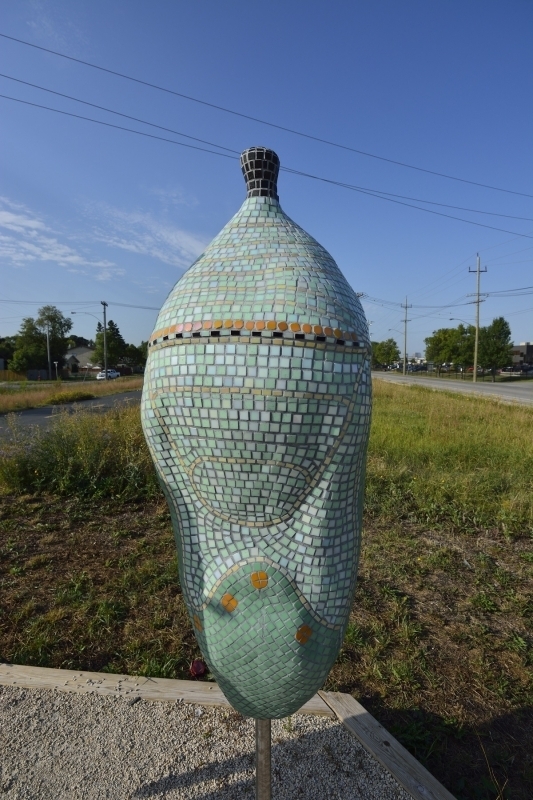 In her practice she is also interested in drawing people into the creative process through collaborative and participatory projects.